On October 3rd, from a Las Vegas Mandalay Bay hotel room, 64-year-old Stephen Paddock opened fire upon a crowd of people, killing 59 and wounding more than 500 in the worst mass shooting in U.S. history. Almost immediately the press began speculating as to a possible motive in the shooting; rumored ties to terrorist organizations came and went, dispelled by law enforcement as groundless. No criminal records or ties to radical organizations were uncovered by the press. Yet amidst the speculation immediately following the shooting, none of the journalists attending the live broadcast press conference posed the question: Was there any indication the shooter was under the influence of a mind-altering prescribed drug? Considering that mainstream media rarely pursues this line of questioning, that law enforcement isn’t required to reveal it, and that the psychiatric-pharmaceutical industry certainly doesn’t want to address it, the task often falls to individual journalists to dig up relevant facts. Such was the case with Stephen Paddock. Paul Harasim from the Las Vegas Review-Journal obtained records from the Nevada Prescription Monitoring Program showing Paddock was prescribed 50 10-milligram diazepam (Valium) tablets on June 21st, as well as 50 10-milligram tablets in 2016. The drug Paddock was prescribed, diazepam, is a benzodiazepine documented by several studies to cause violence, aggression, homicidal ideation and suicide risk or attempts. 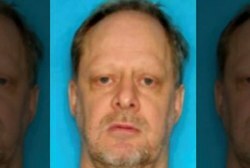 Now CNN has found that Paddock was prescribed the drug as far back as 2013. The fact is psychiatric drugs are documented by 27 international drug regulatory agency warnings and 16 published medical studies to cause side effects including mania, hostility, violence and even homicidal ideation. And while not everyone taking the drug will experience these particular side effects, what the warnings prove is that a percentage of the population will. Furthermore according to the FDA’s MedWatch reporting system for drug side effects, over a 10-year period, the FDA received 1,531 cases of homicidal ideation/homicide attributed to psychiatric drugs, 40% of which were reported by medical professionals. The FDA admits that only 1-10% of drug side effects are ever reported to MedWatch, so taking a medium range of 5%, the number could easily be 30,620 cases of homicidal ideation/homicide attributed to psychiatric drugs. There have been 65 high profile acts of senseless violence, including mass school shootings, mass stabbings, and even the intentional crashing of a commercial airplane, committed by individuals taking or withdrawing from psychiatric drugs, resulting in 357 dead and 336 wounded. Drug proponents argue that there are thousands of shootings and acts of violence that have not been correlated to psychiatric drugs, and that is exactly the point. 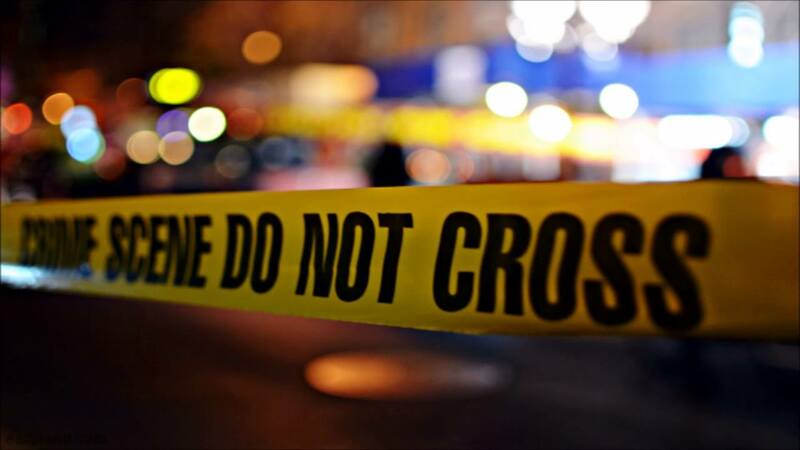 They have neither been confirmed nor refuted to have been connected to psychiatric drugs, as law enforcement is not required to investigate or report on prescribed drugs linked to violence, and media rarely pose the question. Unfortunately that bill stalled out in the finance committee, yet if that bill had passed, a reporting system would be in place to determine the extent to which violence is committed by those under the influence of mind-altering prescribed drugs. A cursory review of the 27 international drug regulatory warnings, the tens of thousands of cases of medical personnel citing psychiatric drug side effects of homicide, aggression, violence, mania and psychosis, and the 65 high profile acts of senseless violence committed by individuals either taking or withdrawing from these drugs, more than meets the criteria for a federal investigation. With millions of Americans being prescribed psychiatric drugs, it’s apparent not everyone will experience violent reactions to the drugs, besides which, violence is only one of many documented side effects of psychiatric drugs. But what the drug regulatory agency warnings confirm, is that a percentage of the population will. And no one knows who will be next. Burlington, Washington – September 23, 2016: 20-year-old Arcan Cetin opened fire in a Macy’s department store at the Cascade Mall, killing 5 people. He was on three different psychiatric drugs—an antidepressant and ADHD drugs—as of 2015 and had been receiving drugs “like Prozac” in the months before the shooting. Side effects include homicidal ideation, agitation/hostility, mood changes and depression. Southern France – March 24, 2015: Pilot Andreas Lubitz deliberately crashed a Germanwings plane into the side of a mountain killing all 150 people on board. He was on an antidepressant and an anti-anxiety drug. Side effects of these drugs include homicidal ideation, hostility, aggression, mania and depression. 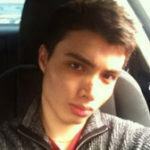 Santa Barbara, California – May 23, 2014: 22-year-old Elliot Rodger stabbed three roommates to death at his apartment then drove to a sorority house where he shot three women, killing two of them. Driving again, he exchanged fire with deputies, hit a bicyclist, fired on other people in multiple locations and then killed himself having killed 6 and wounded 13 others. He was taking an anti-anxiety drug. Side effects include homicidal ideation, hallucinations, unusual changes in mood or behavior and depression. Fort Hood, TX – April 2, 2014: Specialist Ivan Lopez opened fire at Fort Hood military base, killing three people, wounding 16 others and then taking his own life. He had been prescribed an anti-anxiety drug, antidepressants and other medications to treat anxiety and depression. Side effects include homicidal ideation, abnormal thinking, hallucinations, behavioral changes and suicidal thoughts/actions. Washington, DC – September 16, 2013: Aaron Alexis opened fire at the Washington Navy Yard, killing 12 and wounding eight before he was killed by police. Alexis was prescribed an antidepressant. Side effects include homicidal ideation, aggressiveness, irritability, mania and akathisia. Aurora, CO – July 20, 2012: James Holmes opened fire at a movie theater during “The Dark Knight Rises,” killing 12 people and wounding 70. He was on an antidepressant and an anti-anxiety drug. Side effects include homicidal ideation, hallucinations, agitation, anxiety and behavior problems. Seal Beach, California – October 12, 2011: Scott DeKraai, a harbor tugboat worker, entered the hair salon where his ex-wife worked, shot and killed her and seven others and injuring one. He was prescribed an antidepressant and a “mood stabilizer.” Side effects include homicidal ideation, aggressiveness, irritability, mania and paranoia. DeKalb, Illinois – February 14, 2008: 27-year-old Steven Kazmierczak shot and killed five people and wounded 21 others before killing himself in a Northern Illinois University auditorium. His girlfriend said he had recently been taking an antidepressant and anti-anxiety drugs, but had stopped taking the antidepressant three weeks before the shooting. Toxicology results showed that he still had a trace amount of one of the anti-anxiety drugs in his system. Side effects include homicidal ideation, suicidal ideation, hallucinations and unusual changes in mood or behavior. Omaha, Nebraska – December 5, 2007: 19-year-old Robert Hawkins shot and killed eight people and wounded five before committing suicide in an Omaha mall. Autopsy results confirmed he was under the influence of an anti-anxiety drug. Side effects include homicidal ideation, confusion, depression, mania and agitation. Red Lake, Minnesota – March 21, 2005: 16-year-old Jeff Weise shot and killed his grandfather and his grandfather’s girlfriend, then went to his school on the Red Lake Indian Reservation where he shot dead 5 students, a security guard, and a teacher, and wounded 7 before killing himself. He was on an antidepressant. Side effects include homicidal ideation, suicidal ideation, hostility and psychosis. Columbine, Colorado – April 20, 1999: 18-year-old Eric Harris and his accomplice, Dylan Klebold, shot and killed 12 students and a teacher and wounded 26 others before killing themselves. Harris was on an antidepressant. Side effects include homicidal ideation, agitation, depression, suicidal thoughts or behaviors and mania. Klebold’s medical records remain sealed. Springfield, Oregon – May 21, 1998: 15-year-old Kip Kinkel murdered his parents and then proceeded to school where he opened fire on students in the cafeteria, killing two and wounding 25. Kinkel had been taking an antidepressant. Side effects include homicidal ideation, suicidal ideation, hostility and psychosis. While there is never one simple explanation for what drives a human being to commit such unspeakable acts of senseless violence, one common denominator has surfaced in a percentage of cases—prescribed psychiatric drugs which are documented to cause mania, psychosis, violence, suicide and in some cases, homicidal ideation. Those with a vested interest will continue to champion the use of such drugs, as the psychiatric-pharmaceutical drug industry rakes in $80 billion a year through psychiatric drug sales alone. It is long past time that government healthcare agencies launch an investigation. 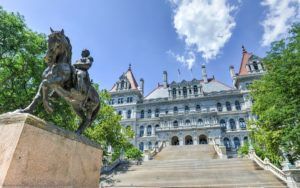 Moreover the New York bill which would have required law enforcement to report any use of mind-altering psychiatric drugs prescribed to those who committed violent criminal acts should be reintroduced. None can argue against the fact that disclosure would serve the public interest. Except those with a vested interest in keeping the public in the dark. Read the full article at CCHRINT.org.